Bryansk State Technical University, building 4, room 508. You can fly to Bryansk on a plane from Moscow or from St. Petersburg. Check for the available flights and prices here: https://www.s7.ru/en/. Nearest international airports are located in Moscow. There are three international aiports in Moscow: Sheremetyevo (SVO), Domodedovo (DME), Vnukovo (VKO). The easiest way to get Bryansk from Moscow is by train. 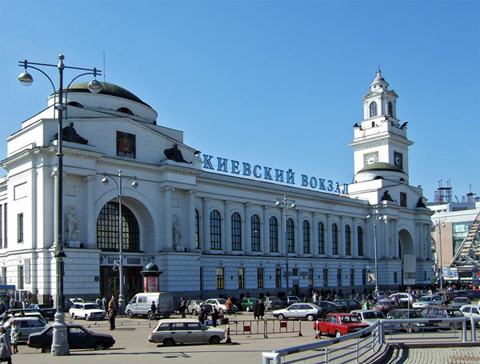 Trains from Moscow to Bryansk start from Kievsky railway station. Please find some instructions how to reach Kievsky railway station from any of Moscow airports, buy tickets and get Bryansk. It will cost you 2100-2800 RUR. You should take into account the traffic jams. Aeroexpress trains go from and to every of Moscow airports: Sheremetyevo (SVO), Domodedovo (DME), Vnukovo (VKO). Tickets, timetable and more detailed information are available at aeroexpress.ru/en. Aeroexpress trains will bring you to one of railway stations. 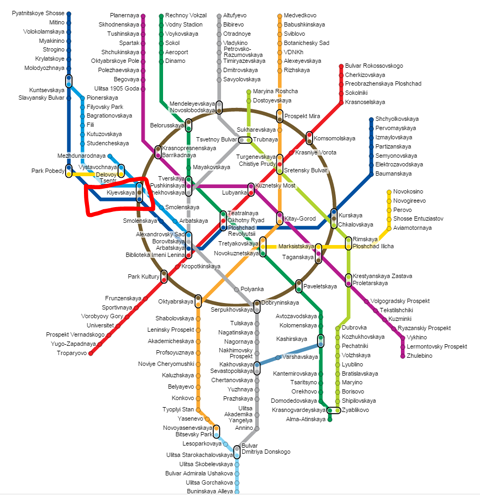 Every railway station has a subway station nearby where you may have to get Kievskaya subway station. Kievskaya subway station is located next to Kievsky railway station. Please note that most probably will not be able to use bank cards to buy subway tickets and to pay for a taxi. Our recommendation is to change 100-200 USD at the airport to have Russian roubles in cash. Tickets for Moscow subway are used to enter the subway. Since you are in, you can stay there till closing time and change as many trains as you need. As soon as you leave the subway you have to buy another ticket to enter again. Visit http://pass.rzd.ru/main-pass/public/en and buy tickets online or check on the available trains. Note. There is no default spelling of Bryansk city in Latin letters, you can easily see ’Bryansk’, ’Briansk’ and ’Brjansk’. Again ’Moscow’==’Moskva’. In Russian Railways web site use BRIANSK for that. http://bristol32.ru/hotel/ Offers a terrace and sauna. Guests can enjoy the on-site restaurant. Free parking, free wi-fi, flat-screen TV with cable channels, billiard. Extras include free toiletries and a hair dryer. Superior rooms feature a spa bath or a hot tub. Use www.booking.com to book it. Breakfast included. Free parking, sauna, swimming pool, cafe, TV with cable channels. It is not listed in Booking.com. We would evaluate it as 2*-3* hotel. Some people reported about some noise during the night due to the machines and bowling hall on the next floor. If you want to book it, please, contact us and we will do it for you. http://clubboston.ru/ Free Wi-Fi and bowling. Rooms at the Club Hotel Boston Bryansk feature classic decor and rich wooden furniture. All rooms are air-conditioned and include a flat-screen TV and a private bathroom with a bathrobe and slippers. Free Wi-Fi, free private parking. A bus stop is 150 m away. The modern rooms here provide guests with an electric kettle, a flat-screen TV, air conditioning, and a private bathroom with a shower. Located in the centre of Bryansk. Gym, sauna, free Wi-Fi, air conditioning, a flat-screen TV, safety deposit box and fridge. Free toiletries, slippers and a hairdryer are provided in a bathroom. Swimming pool, fitness centre, free Wi-Fi and parking.The comfortable rooms feature modern furnishings and are decorated in warm tones. They come with a flat-screen cable TV, a safety deposit box and a fridge. The bathrooms offer a bath or a shower, hairdryer, slippers, bathrobes and free toiletries. The café at the hotel offers breakfast buffet and serves international cuisines.